TYSONS CORNER, Va.--(BUSINESS WIRE)-- Cardinal Bank (NAS: CFNL) is pleased to announce that Lilah Yosufy, Commercial Services Executive, has been promoted to Senior Vice President. Ms. Yosufy joined Cardinal Bank as Manager of Cardinal Bank's Greensboro Banking Office in 2005. She was promoted to Commercial Services Executive in 2007, where she has served on the Fairfax and Arlington Market Teams, partnering with lenders and retail managers to provide personalized products and services to businesses in the region. Most recently, Yosufy has established an industry focus of Settlement and Title companies, working closely with Cardinal's subsidiary, George Mason Mortgage, LLC, one of the region's premier mortgage companies. "Lilah's promotion is well-deserved," said Kevin Reynolds, Regional President, Sales & Business Development. "In her career at Cardinal, she has earned a reputation for skilled relationship management.We are pleased she will be leading our efforts with Settlement and Title companies." A long-time resident of Fairfax, Ms. Yosufy holds a Bachelor's degree from Marymount University in Business Administration. She is a 2008 graduate of the Virginia Bankers School of Bank Management, and served on the Board of Directors of the Tysons Regional Chamber of Commerce from 2008- 2011. 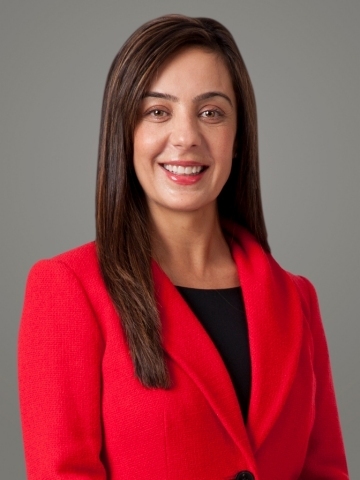 The article Cardinal Bank promotes Lilah Yosufy to Senior Vice President originally appeared on Fool.com.